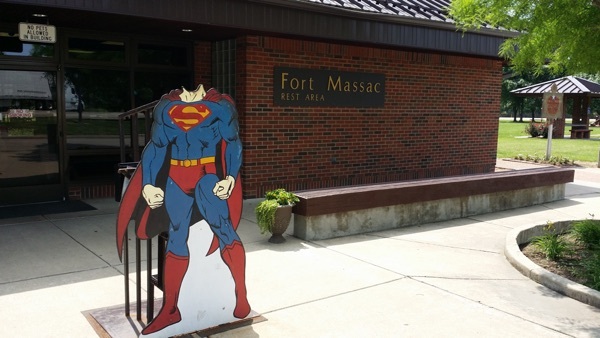 The Fort Massac Rest Area (37.159140, -88.679758) welcomes you to Metropolis, Illinois, the town Clark Kent works in. Clark Kent is, of course, the possibly-fictional superhero Superman. 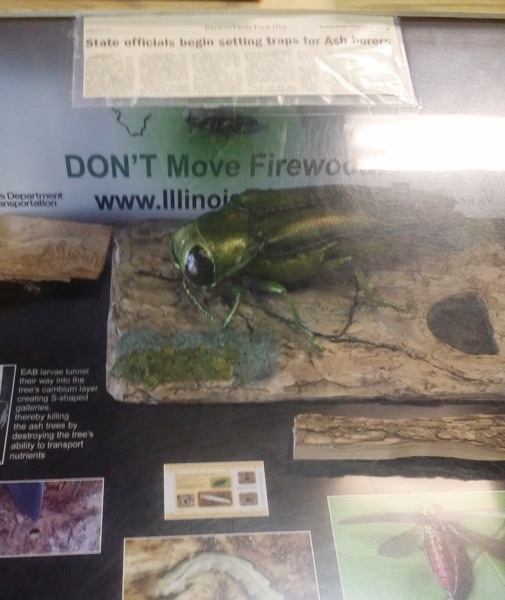 The rest area is, overall, quite pleasant and features landscaped grounds, a clean bathroom (I can’t say clean bathrooms (plural) because I only visited the men’s bathroom), and an informative educational display about Emerald Ash Borer insects (which destroy ash trees). The grounds also feature Brood XXIII periodical cicadas, but the next time you’ll be able to observe them there is 2028. Last visited: May 24th, 2015.